Lisa!! You are so amazing, girl. Your work ethic is unmatched, Your smile can light up a room and that booty…. its a goal all woman shoot for! But seriously… you encompass everything it means to be WOMAN STRONG. You set your mind to a goal, and you go for it. Not only in the gym, but out of it! 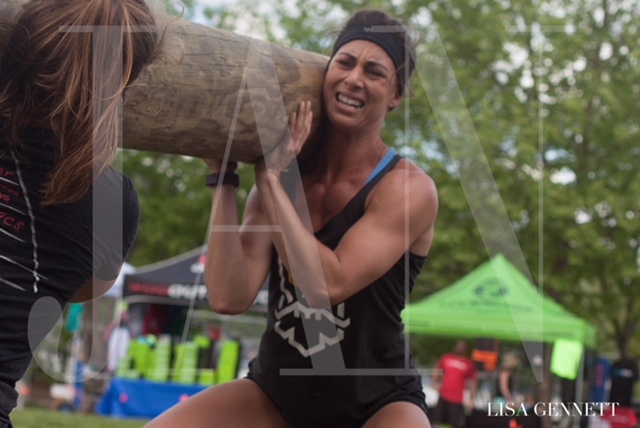 An amazing, teacher, wife, WOD partner and soon to be… COACH! Your modesty is so stinking adorable, never boastful, always thankful, always training to the max… I literally could go on and on. You are 1 in a trillion Lisa, we (and Bryan!) are so lucky to have you as a part of our BCCF community. We love you Lisa – congrats!